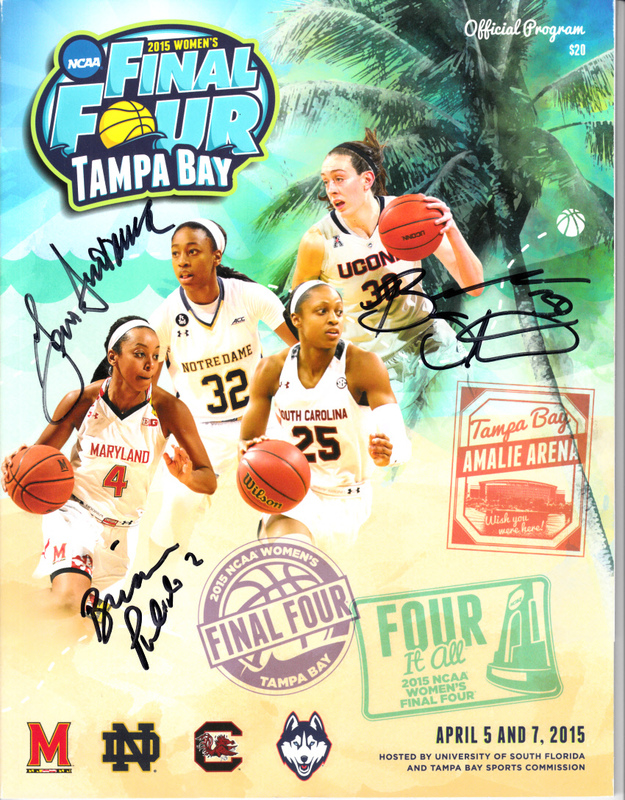 2015 NCAA Women's Final Four complete program autographed in black marker on the cover by legendary UConn Huskies coach Geno Auriemma, superstar forward Breanna Stewart and reserve Briana Pulido. The Huskies won the National Championship in Tampa Bay. Obtained in person, with certificate of authenticity from AutographsForSale.com. ONLY ONE AVAILABLE FOR SALE.